"Nikolai has apparently been busy"
10tons today have announced the release date for their long anticipated top down twin stick shooter Tesla Vs Lovecraft. The game is expected to launch on the 16th March priced $14.99/£11.99 or $11.99/£9.59 if you preorder the title. This title joins the ever growing list of twin stick shooters each trying to do something different with their own unique style and rule set that 10tons seems to enjoy creating, such as titles like Jydge and Crimsonland. This title however will take the twin stick shooter and rpg elements from other titles but also add in supernatural themes to further expand the experiences they have created. 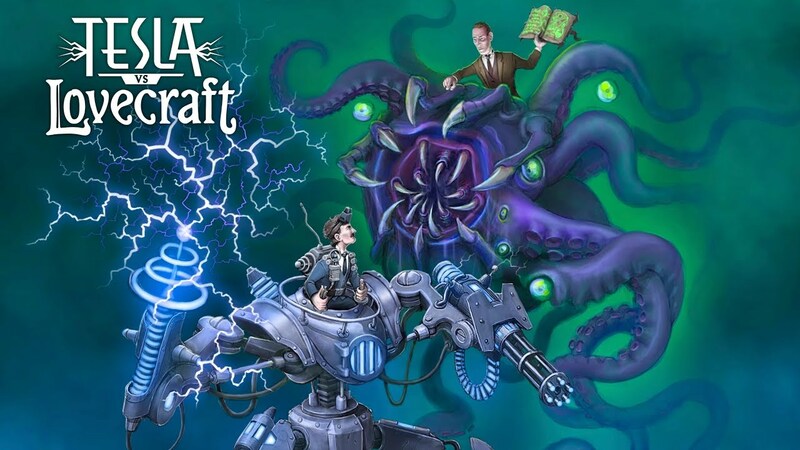 Lastly in case you are not aware the game as you playing as Nikolai Tesla as he has to take on and defeat all kinds of Lovecraftian villains in which we can only presume will including using weaponry revolved around electricity usage in some way. You can view the launch trailer below and be sure to look out for our review that will be out next week on the title.